What's the difference between 3D thin rock and 3D rock background? in front of the background using pipes clips (see the image above). 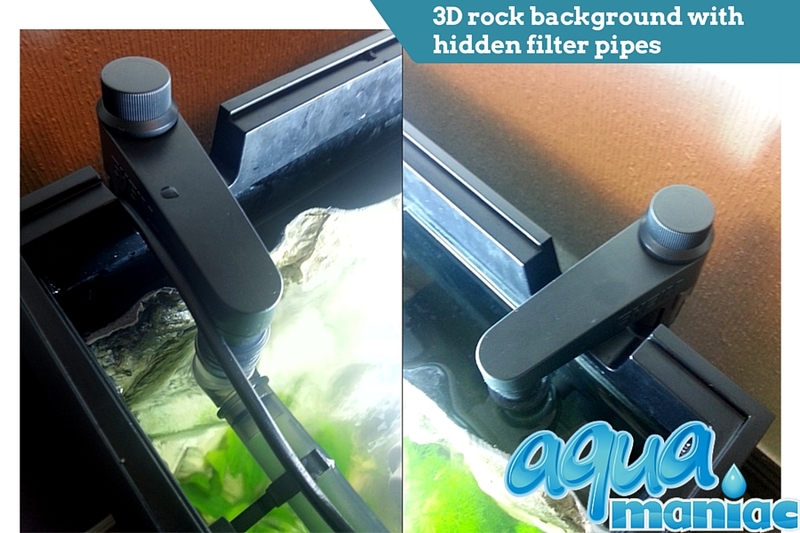 If you decide to install thin rock background there is no room behind the background, so the filter and heater will be visible in front of the background. If you have support braces, we will provide you with background cut in sections in order to fit inside. You can have also clips behind the background to connect the sections or no clips. If you decide to silicone the background inside your tank there is no need for clips. 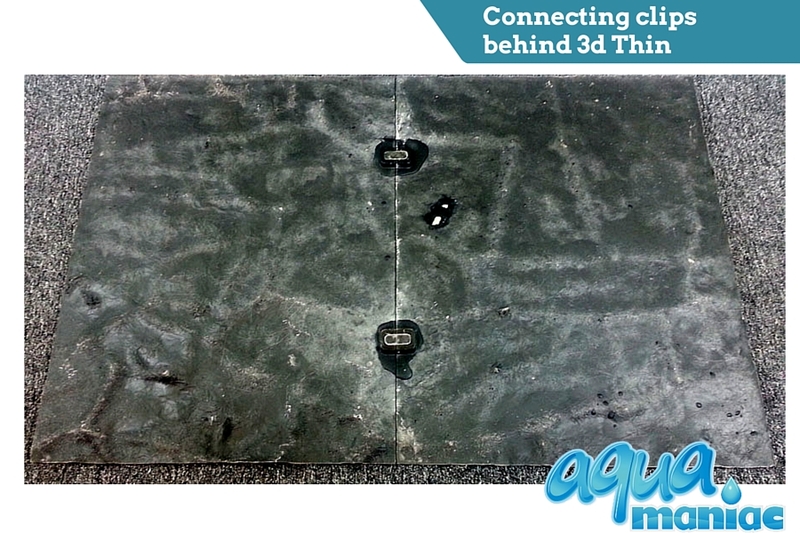 The 3D Rock background thickness is between 2-5cm. The structure of this background is very irregular. 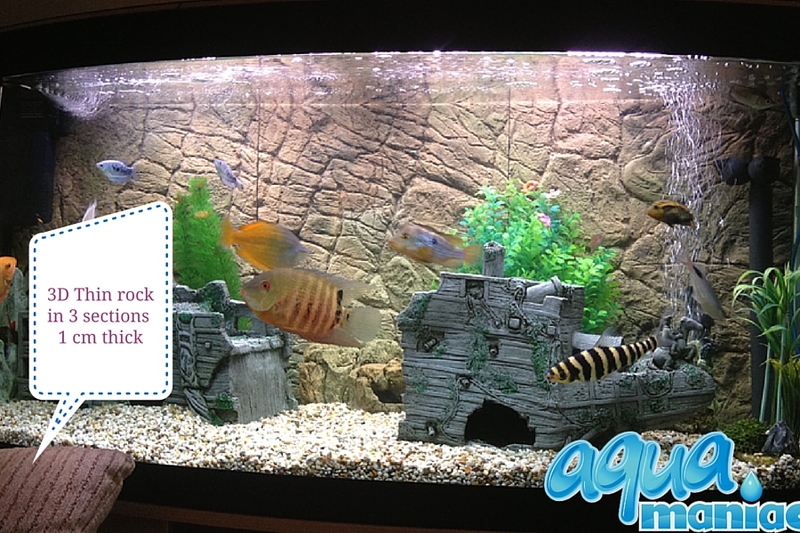 The installation is also very easy, you just slide the background inside your tank and background stays in place, no need to use silicone. 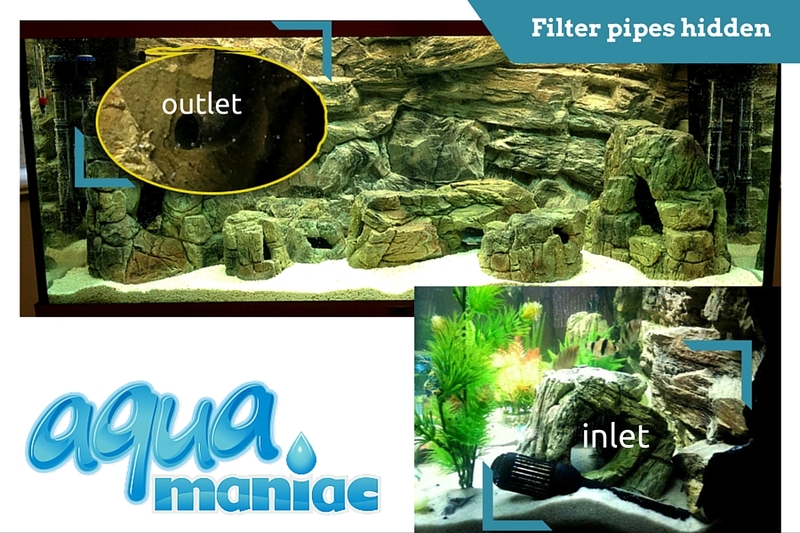 The main advantage of having 3d rock background is that you can hide filter pipes, heater behind the background, so only the inlet and outlet of filter pipes are in front of background.